"There is magic in the feel of a paddle and the movement of a canoe, a magic compounded of distance, adventure, solitude, and peace. The way of a canoe is the way of the wilderness and of a freedom almost forgotten. It is an antidote to insecurity, the open door to waterways of ages past and a way of life with profound and abiding satisfactions. When a man is part of his canoe, he is part of all that canoes have ever known." 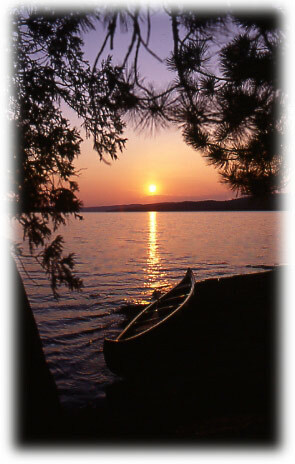 I founded McFarland Lake Canoe Company in 1992. The company takes its name from the lake in Minnesota where I spent summer vacations as a youngster and learned about canoeing in my grandfather's 1936 Old Town Yankee. I inherited that canoe and spent a year restoring it to its original splendor. 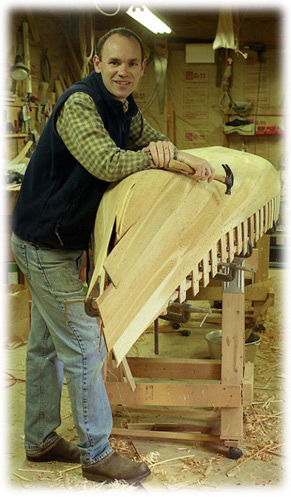 In 1990 I built a wood and canvas canoe with five other students at Seattle's Center for Wooden Boats under the instruction of Jerry Stelmok, renowned canoe builder, author of Building the Maine Guide Canoe and co-author of The Wood & Canvas Canoe. With that knowledge and experience I began building my own wood and canvas canoes and restoring old canoes that had been "lovingly used". Over the years I've built and restored scores of wood/canvas and all-wood canoes. Canoes made by such builders as Old Town, Chestnut, B.N. Morris, Huron, E.M. White, Shell Lake, and the renowned Willits Brothers have passed through my shop. Being fortunate to live so close to the site of their manufacture in Tacoma, Washington, I likely have more experience than anyone in restoring Willits Brothers canoes. I am now concentrating my business strictly on the restoration of Willits Brothers canoes and I'd be happy to resurrect yours into the floating masterpiece that it once was, or find one for you to purchase. Because original Willits Brothers paddles are nearly impossible to locate for purchase, I make reproduction Willits Brothers paddles. Additionally I sell used canoes when they are available to me and teach classes on canoe restoration. With my experience in restoring Willits Brothers canoes, and after years of researching the brothers' lives, I wrote a detailed book about their lives and canoes. 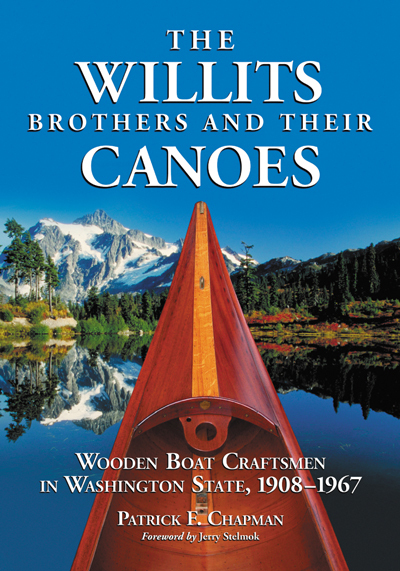 The Willits Brothers and Their Canoes: Wooden Boat Craftsmen in Washington State, 1908-1967 was published in May, 2006. More details and ordering information are available on the Willits Brothers canoe page. Look over my website and feel free to contact me if you have questions about my products or services, or if you just want to chat about wooden canoes!